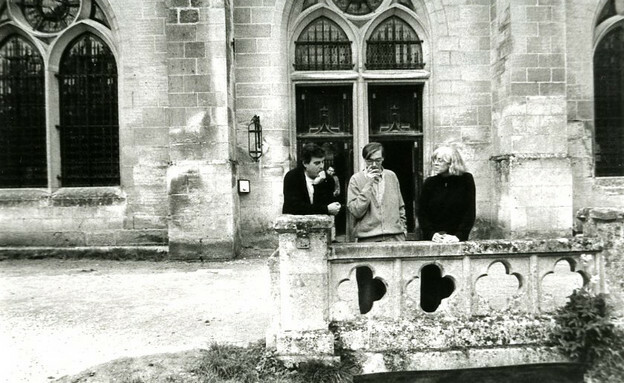 Rachel Blau DuPlessis in residency in 1992 at Le Centre de Poésie et Traductions de la Fondation Royaumont, Aisères-sur-Oise, France, for translation work that led to Essais: Quatre Poèmes, traduction collective, Royaumont, revue et complétée par Jean-Paul Auxeméry (Bar-le-Duc: Un Bureau sur l'Atlantique, Editions Créaphis, 1996). Working through George Oppen’s various calls for clarity, Patrick Pritchett arrives at a discussion of the caesura: “It’s as if the only way for Oppen to write clarity is through these sharp incisions of white space. […] Clarity becomes a kind of invisible ideogram, a para-notational blank space, a scission cutting into the material body of the poem. […] Clarity, finally, is not what can appear through means of the orthographical sign alone, but only as and from the pauses within the overall shape of the poem, the white caesuras of its metrical breaks.” I’d like to explore how this material caesura has been revisited and extended since Oppen, particularly in writing that seeks to politicize clarity by framing the problem in the context(s) of difference. Broadly speaking, legibility is a near central, often excessive demand in navigating any discourse, but the problematic of ‘the clear and the obscure’ or ‘the legible and the illegible’ might also be situated more narrowly within a poetics of the document, where confronting that demand involves developing strategies for understanding what it might mean to go on record, materially, and for engaging that record. I’m concerned, then, not with erasure, but disfigurement: by redaction I mean to call to mind a forcible collision whereby the visible and vocable edges of a text contract. In this collision, the redacted remains apparent — even as redaction occludes, it mars material. More than erasure, redaction is how a discourse tends its own limits, since the out-of-bounds must remain visible as such whenever the lines of permissible speech are drawn. But to adopt redaction as a tool of lyric work is to bring the noise — to welcome refuse and to allow debris to collect along the road to clarity, as a kind of clarity. So what I’m calling redaction engages a material practice even at the expense of legibility. One way Rachel Blau DuPlessis has responded to Oppen is by positing occlusion as an inroad to clarity. I want to consider her work as a renewal of Oppen’s call through the overwriting, overprinting, and redaction of his ‘white caesura.’ In Pritchett’s terms, a white caesura isn’t the silence of a poetic voice, or the falling silent of speech or song — it instead re-members a history gone silent, pointing up the always visible occlusions in the record when the historical person was silenced. An embodied gap in the historical record, this notion of a material caesura opens the door for other ways of writing clarity, inviting in particular a response to “transparence” as the vehicle (in Oppen’s “Clarity in the sense of transparence”). DuPlessis overwrites Oppen’s call and intervenes precisely at the question of obscurity in art, as if to say that we haven’t reached the limit of lyric work if we rest in a view of the illegible as a threat to clarity. In a poem that deploys as much redacted as unobscured text — an effort to approximate war’s syntax — DuPlessis frames the practice as lament: “Such sorrow obliterates statement.” I understand her work as exploring strategies for arriving, via a material practice, at that caesura of revolt named by Lacoue-Labarthe in the epigraph above: a critical space of “exit[ing] art within art,” a space of mourning-as-resistance. Her redactive gestures eventually disfigure rhetoric and exit discourse — so to give it a start. The lengthy notes accompanying most sections of Drafts perform a rigorous transparency regarding the source materials and engagements that went into the poem’s composition. They take up citational practice as a problem, and reading the notes as a gender-inflected gloss on the poetics of appropriation would not be far afield. But it’s also worth pointing out from the beginning (if one can begin at the beginning with Drafts — and perhaps one really shouldn’t) that occlusion is as much the modus operandi of the notes as exegesis or citation. An early example can be found in the following elliptical note for Draft 1: “There is also a buried statement by Paul Celan.” (The statement remains buried in the note.) Much later — if reading Drafts according to the linear sequence of the y axis — a note for Draft 39 clarifies: “‘No sandpoems’ as in Draft 1, from Paul Celan.” DuPlessis has written that, from the outset of the project, she adopted Celan’s dictum for guidance in “how to write […] some austere, deliberative, materialist, awe-struck art in segmented language.” Though it might seem like minutiae to begin by parsing the notes to the poems, the delayed disclosure suggests that even the critical apparatus of the notes attempts to work out a material practice, perhaps even with an eye toward Oppen’s notion that “To write poetry is […] to control ‘the sequence of disclosure.’” That “No sandpoems” is “buried” — both in the poem and the notes for Draft 1 — is a pun that points up the material nature of the citational system at play here. So, almost immediately, the apparatus refuses full disclosure, so to lament a historical foreclosure on so much immaterial, unremarkable detail strewn in the wake of events. As if to suggest that, in the absence of “a past become citable in all its moments,” citation buckles, or becomes at least suspect, and that, holding one’s tongue under the weight of such a messianic reevaluation of writing history, one might via occlusion produce at least a draft. Even to declare “No sandpoems,” if only as program, is beside the point, immaterial. Better simply to do it, to put it in play — to keep a material in play — as Celan does by the end of his poem. Thus, the Draft 1 note declares a burial and performs it in the same gesture, marking in the process the material residue of Celan’s work and dictum, as against (or as inseparable from) the shifting sands of ‘mere’ citation or commentary. Before considering DuPlessis’s deployment of the literal redactions from Oppen’s FBI file as a similar kind of burial, it would be worthwhile to weigh the significance of the fact that this earlier redaction — “No sandpoems” — is her rendering of the opening line of a poem that ends: “Deepinsnow, / Eepinno, / I-i-o.” A snow burial of the word “Deepinsnow,” “I-i-o” is a “white caesura” wherein the poem concretizes its lament by disfiguring its own lexicon, muting the semantic content but also foregrounding a sonic value (virtually illegible noise). DuPlessis has explored a similar becoming-silent in Oppen through a reading of Adorno: “As close as one gets to ‘stopping’ writing (something Oppen, of course, did, a silence generated and supported variously, a sociocultural act), that temptation and its complex overcoming ‘expresses negatively’ (in Adorno’s terms) ‘the impulse that animates committed literature.’” Redaction is a material trace of that impulse where, in an attempt to ‘write’ silence, the poem must somehow move to render it legible. The lines from Draft 1 above gloss Oppen’s “Clarity in the sense of silence” and announce a concurrent direction for thinking through what constitutes the immaterial in the lyric: many silences (many different silencings) must be in play simultaneously, must be recognized, named, performed, reiterated. This is integral to the methodology of Drafts and bound up in the notion of the written draft as the organizing principle. The provisional nature of drafting is adopted as a compositional strategy, so that the project offers itself as a critique of the monumental work’s authority. But redaction further qualifies the methodology, since the draft is exactly where “the page would go black from overprinting,” where excess would be separated from essence and rendered mute. In DuPlessis’s work, however, the draft doesn’t generate refuse along a trajectory towards an ideal form (the clear, the monumental) — but instead activates a gendered space of the lyric that contests Pound’s principle of condensare as little more than ‘trimming the fat’ (a friend calls this a demand for the “anorexic lyric”). I want to claim that, if we read them as lexical, the redactions in Drafts would seem to occupy the space of pronominal address, saying roughly (though they’re not speaking) “you” and “we” — perhaps also, eventually, “yiou and thwe and wey and hheer” — only, that is, if we insist on extrapolating from them a semantic content. When they make their first appearance in Draft 5, redactions are meant to approximate Oppen’s FBI file, and by the time they’re deployed in Draft 68, they’re part of a syntax of war: “As the war returns; / its syntax recurs.” So, they arrive out of a confluence of the private and the historical—figured in DuPlessis’s personal and critical relationship with Oppen (the inarticulable you of redaction as pronominal address in Draft 5) — and they “recur” as part of a question (our question) about how to wrest a writing of history from the grip of the ideologies and apparatuses that run it through. A photo of the near dead, a flag, a “Strange […] enamel”: the funereal, corpse-like qualities of redacted texts seem to be highlighted from the outset. Confronted with such a textual corpus, one is forced to wonder, “who coded the deletions,” and to confront a reading of history as a material encounter, so that, asking such a question, one maneuvers (impossibly) to interrogate the immovable and impersonal apparatus of the state. To engage institutional redactions, the poem deploys its own, inviting some complicity with that state as it selects what can and can’t be divulged, and in what order. This strange flag threatens to collapse the machinations of poetry into those of state, since whoever “coded the deletions” controlled the sequence of disclosure. The blackouts also seem to mourn Oppen’s textual body, or mourn the passing of his physical body textually, by obliterating the present text, by taking in obliteration as a horizon, even as a textual mark or event (thus rendering it legible). = Hidden elegy, the dark lines. Blackening out of specific records. The dark inside of unopened present (unopened parent). Death with everything but regret left inarticulate. The bleak inside of transport. Dread of the future packed in convoy. Train across the dark, beclouded country. whited out by haze of powerful cities. Folded into a working definition of redaction in this gloss are the following: redaction as the inside (of present, of parent, of transport), as death itself or the inarticulate, as “a burned page,” as “ink and tar,” as “dread of the future,” as night. What’s more, any words visible in the midst of redaction are devastatingly described as “Small recoveries within effacement,” a sentence that threatens blithely to level all of Drafts. A few lines prior, this assessment of what remains is literally a death sentence: “Death with everything but regret left inarticulate.” So, almost all of Drafts gets despairingly reduced to a series of small recoveries or to little more than articulated regret. Only a handful of the poems thus far contain redacted text (Drafts 5, 52, 68, 87, and 99), and of these, only 5, 68, and 99 make extensive use of redaction. But the concerns bodied forth in that practice are pervasive, and precedents abound in DuPlessis’s long poem. In some fundamental way, we must look at redaction, confront it visually (as “Poetry constructed of enormity”), and as such it interrupts a reading, but the visual or plastic edge of Drafts is everywhere in evidence. To my mind, there are two important contexts for understanding redaction as a visual practice in Drafts: first, there are the written characters, scrawl, and drawings of Drafts (in 1, 6, 7, 23, and 73). These figures take up Pound’s ideograms, reminding us of the direct engagement with his Cantos in these poems, but the black boxes in Draft 5 also gesture towards the visual arts, finding a specific corollary in, for example, Anselm Kiefer’s black books. DuPlessis has described the poem’s methodology as collage: “this work pressed / down unfinished overwritten refolded.” In the collage poem “Draft 94: Mail Art,” the visual gains a striking primacy, and the arrival of an entire book of The Collage Poems of Drafts suggests that much more work will need to be done to understand this late exit — from within the poem — to another medium entirely. I’ll return to this shortly, though a full treatment will be beyond the scope of the present essay. Equally important in contextualizing redaction as prosody is the preponderance of abbreviation and contraction in Drafts. 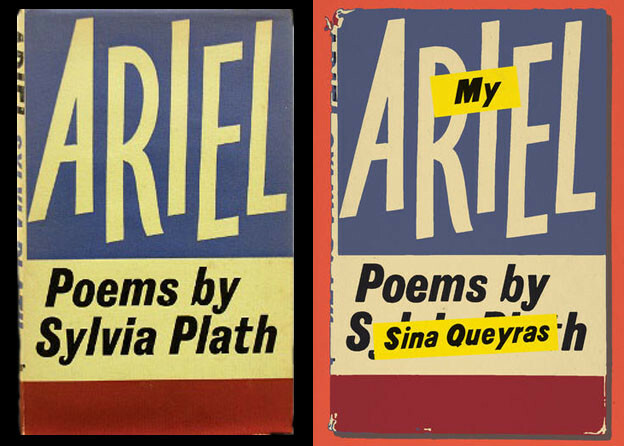 DuPlessis makes use of standard abbreviation and grammatical contraction, but as often she torques both practices, so that, for example, “memory” becomes “m-m-ry” and “power” becomes first “pwer,” and then “pwr.” Rather than a proper grammatical contraction, what gets occluded in “Did not yet strike with full intent” refracts and doubles: “Dd nt, or strk.” Then, somewhere between abbreviation and strikethrough, there’s “No writing. Nothing there but / – – lessness,” and in tandem with the first appearance of redaction in Draft 5, there’s also “‘J–w.’” These are only a few illustrations, but the gesture’s pervasive. In exploring strategies for thwarting standard grammatical contraction, DuPlessis situates syntax itself as a site of the trace, a concept so central to her project that it’s treated at length in the longest Draft (number 87, “Trace Elements”). And this contraction-redaction may be the only way to gloss a poem that’s already been so thoroughly glossed: Draft 49 includes both “Turns” and a reading of “Turns” (“Turns: An Interpretation”), and the unnumbered Draft also circles back on 49. Though the system of donations in Drafts often behaves a bit like annotation, the direct treatment of 49 (in the addendum to 49 and in “Unnumbered: Précis”) is perhaps unprecedented in this poem. It makes sense, then, that the next Draft after 49 in the line of 11 is riddled with blacked out passages, having arrived at a contracted view of so much gloss. Redaction might be the most literal embodiment of what’s happening in the incessant donations of Drafts: one might imagine that the poem, were it to continue on indefinitely, would eventually resolve into a sequence of black monoliths. The exit to the visual arts late in the poem begins to make a new kind of sense, inasmuch as it’s a palpable way to read the poem anew — by plasticizing it, cutting it off from poetry. “Draft 68: Threshold” — the third ‘take’ on “Turns” — is a contraction of “Turns.” As Ron Silliman has usefully noted, in Draft 49, “what gets effaced is nothing less than the role & contribution of women.” This, Silliman posits, is due to the formal modeling of 49: while the engagement with Zukofsky’s “Mantis” and “Mantis: An Interpretation” is voiced in DuPlessis’s title, the poem’s nod to Alice Notley’s The Descent of Alette remains unvoiced outside of the notes to the poem, since the debt to Notley is primarily legible in the form of the frequent use of caesura, which remains (roughly) silent. This silencing, this occlusion, is part of the poem’s great elegy, yet here again in “Turns,” caesura performs such radical effacement by approaching the material. So, not the question of how to mourn touch (as aporia), and not how not to touch (“resist complicity”) — but how to mourn-touch, how to say it “the way it’s felt.” This, for me, is the question at the heart of DuPlessis’s use of redaction. A note for Draft 68 appends the following from Edouard Glissant: “It can happen that the [literary] work is not written for someone, but to dismantle the complex mechanism of frustration and the infinite forms of oppression.” The desire to find some pronominal address back of redaction might only be an effort to translate something that doesn’t need translating, since redaction as prosody already begins to come clear. As mark, as material, redaction obscures, positing an ‘other’ side to the text (as in Draft 94: “If there were holes cut in this page / (not impossible) / what would be the word groups / underneath?”). The pronoun’s its cousin, but redaction is parts (all parts) not part of speech. As syntax, it contracts, even beyond recognition. And when sound — when sounded — redaction wails. 1. Patrick Pritchett, “Clarity, or Late Modernism (A Photological Midrash),” paragraphs 11–12. 2. DuPlessis’s account of Oppen in the context of the work of Paul Celan and Walter Benjamin draws out, as a reading of clarity, his reference to “black verse,” a pun that would certainly be apropos here. See her essay “‘Uncannily in the Open’: In Light of Oppen,” in Blue Studios: Poetry and Its Cultural Work (Tuscaloosa: University of Alabama Press, 2006). 3. DuPlessis, “Draft 68: Threshold,” in Torques: Drafts 58–76 (Cambridge: Salt, 2007), 68. 4. DuPlessis, Toll: 1–38 (Middletown, CT: Wesleyan University Press, 2001), 269. 5. DuPlessis, Drafts 39–57, Pledge, with Draft, unnumbered: Précis (Cambridge: Salt, 2004), 224. 6. DuPlessis, Blue Studios, 194. 8. Benjamin’s definition of “redemption” in his third thesis on the philosophy of history. Benjamin, Illuminations, trans. Harry Zohn (New York: Schocken Books, 1968), 254. 9. Paul Celan, Glottal Stop: 101 Poems by Paul Celan, trans. Nikolai Popov and Heather McHugh (Middletown, CT: Wesleyan University Press, 2000), 100. 10. DuPlessis, Blue Studios, 188. 11. DuPlessis, Torques: Drafts 58–76, 5. 14. George Oppen, New Collected Poems, ed. Michael Davidson (New York: New Directions, 2002), 175. 15. The blacked-out passages are somewhat performative, so that we might see them as enacting drafts in Drafts. In this sense they’re similar to a strikethrough, where text remains legible in spite of being ‘crossed out.’ There may only be a handful of examples of words stricken through in Drafts, to date. In Draft 3, a bracket in the left-hand margin extends for roughly half of the poem, with a marginal note indicating that the bracketed text should be “CUT” (Toll, 19), which again might be seen as a kind of scripting. I think it would be a mistake to see redaction as no more than an instance of Drafts ‘replicating’ drafts, but the performative should not be entirely disregarded. 16. DuPlessis, Pitch: Drafts 77–95 (Cambridge: Salt, 2010), 58. 17. Ash Smith, in conversation. 18. DuPlessis, Blue Studios, 192–93, emphasis mine. 19. DuPlessis, Pink Guitar, 112. 21. Dahlen, qtd. in Pink Guitar, 115. 33. Ibid., 84. “M-m-ry” is also the title of Draft 26. 38. DuPlessis, Pitch, 58. It’s worth noting that this is the section that overwrites Oppen’s call for “transparent” clarity. I discuss Draft 85 in more detail in my review of Pitch in Jacket2. 39. DuPlessis, “Draft 99: Intransitive,” Jacket 38 (2009). 41. Ron Silliman, Silliman’s Blog. Silliman made a series of posts on the publication of Torques: Drafts 58–76 that included a discussion of Draft 68, all of which can be accessed in the archives to his blog. 43. Ibid., 68, emphasis in original.